The coastal city of Pafos in Cyprus has been selected as one of this season’s must-visit destinations by Unesco and National Geographic. The listing as one of the top World Heritage Sites in Europe, is due, in part, to the record visitor influx from the UAE this summer. During August this year, Cyprus welcomed a 55.5 per cent increase in visitors from the UAE, compared to August 2017, with Kuwait and Bahrain also seeing increases of 33.1 per cent and 22.8 per cent respectively. 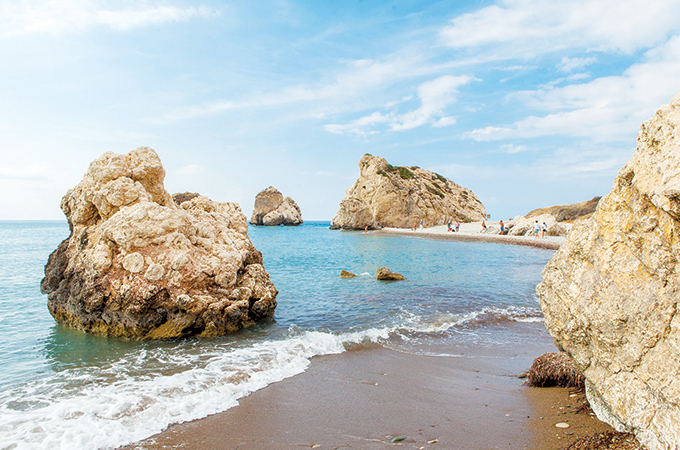 Boasting stunning beaches and a dramatic coastline, Pafos is a destination that appeals to all. Steeped in ancient mythology, from ancient ruin site The Tomb of the Kings, the Pafos Fort, and lively restaurants along the coast, Pafos is fun for the whole family, regardless of where they are travelling from. One of the main draws is the mythological ‘Petra tou Romiou’, also known as Aphrodite’s rock, where Aphrodite, the goddess of love, is said to have risen from the waves. Pafos is situated a scenic 1.5-hour drive from Larnaca International Airport, with direct flights operated with Emirates Airlines from Dubai, Gulf Air from Bahrain and Qatar Airways from Doha. At just a four-hour flight from the GCC, Cyprus is one of the most sought-after and accessible destinations for travellers looking for a close-by getaway, and the addition of Pafos to the “World Heritage Journeys” is set to propel this further. Unesco’s “World Heritage Journeys”, in collaboration with National Geographic, aims to align travellers with sustainable travel to the most remarkable World Heritage Sites in Europe. Co-funded by the European Union to promote the top sites, Unesco has developed a newly launched website (visitworldheritage.com), which encourages visitors to ‘travel differently, travel deeper’ by travelling beyond the major tourist hubs, staying longer in their destinations and experiencing more of what the local region has to offer. “We are deeply honoured to have Pafos shortlisted as one of the top World Heritage Sites, particularly for our GCC travellers who want to explore Europe but don’t want to take a long flight,” said Marinos Menelaou, CTO’s acting director general. The listing is a result of an 18-month project between the Department of Antiquities and Cyprus Tourism Organisation to develop inspiring and educational content to be featured on the platform for viewers.